Dog Breath Dental Treats provide a whole new way to address dog breath and tartary teeth. 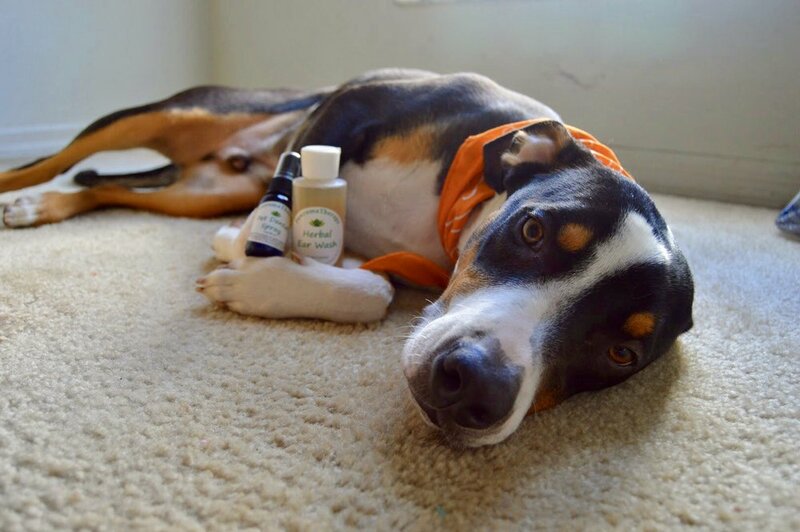 Whether you’re implementing a daily dental routine or looking for a fix for that awful green cloud floating near your pup’s mouth, Dog Breath is quick and easy tool. No brushing. No spraying. No struggle. Just a fun-to-eat treat! Dog Breath is a natural way to address stinky breath and tartar-coated teeth in dogs. With sea algae, spearmint, and parsley, these dental treats are your multi-tool to a healthy teeth and mouth. The spearmint and parsley work together to freshen up breath, while the sea algae uses its natural biological process to soften up tartar on teeth. Feed one dental treat daily, after the last meal of the day. For animal use only. This product is intended for intermittent or supplemental feeding only.